United States Marines EDC pocket knife for sale. 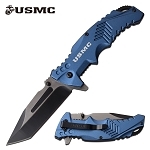 Our USMC knife is top quality and low wholesale knife price. United States Marines EDC pocket knife for sale. 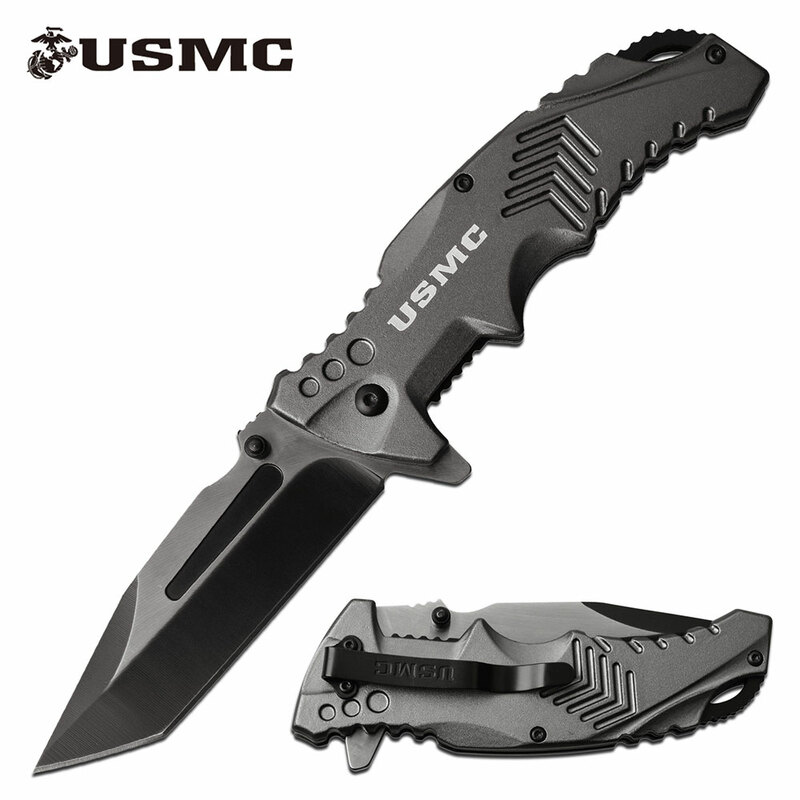 Our USMC knife is top quality and low wholesale knife price. The cool knife design is very nice. This is a great knife to give to your loved one as a gift. The spring assisted knife overall open length is 8.25 inches long. Blade is made from 3cr13 steel and length of the blade is 3.5 inches. The anodized aluminum handle is 4.75 inches long. Pocket clip is attached to the back side of the handle.